We’ve been cranking out the content on this blog for a few years now. After spending some time looking through it all, I decided to pull out the ten best blogs on mobile marketing. If you read nothing else about using SMS messaging in your mobile marketing, these blogs tell you what it is, how to do it, and how to know if you’ve done it right. Without further ado, here they are in order. Understanding the fundamentals of SMS marketing is important if you are going to do it well. This blog explains the two basic campaign types and when to use them. Read "SMS Marketing Campaign Basics"
One of the most important aspects of SMS is the keyword. They are used for recognition and action in almost every two-way message. This post gives you the guidelines on how to choose, and use, them. Read "What’s In A Keyword? Three Rules To Using Keywords In SMS Marketing"
To use two-way messaging (so you can get a reply from your customers), you’ll need either a virtual mobile number (VMN) or a shortcode. This blog explains what a VMN is and why you might want to choose to use it. You’ll also find out the dangers of using a shared VMN, if that’s what your provider gives you. Read "Getting A Reply: Should You Choose A VMN Or Shortcode? Part 1"
In number three you learned about VMNs. This is the blog to learn about shortcodes, and finally how to decide which you should use for your specific needs. Read "Getting A Reply: Should You Choose A VMN Or Shortcode? 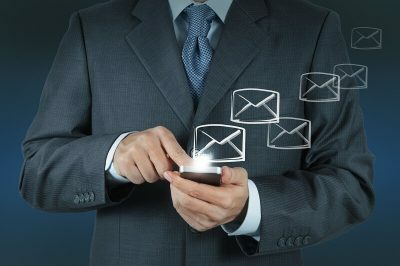 Part 2"
In order to use SMS marketing, you’ll need to have a list of mobile numbers. While you can contact existing customers under certain conditions, you’ll eventually want to grow a list specific for marketing. To do that you’ll need an opt in campaign. This blog will give you the formula for writing the best opt in message for your business. Read "How To Craft Your SMS Opt In Message"
It’s one thing to read about a concept, it’s another to see it in action. So this blog has you do both. I walk you step by step through a perfect example of an opt in campaign. Read "One Great SMS Marketing Opt In Campaign Example"
Learn how to send SMS messages “just in time” to all your customers. If you can perfect your timing, they’ll engage with you by sending the replies you ask for, redeeming the offers you send, or clicking on the links you provide. Read "Using Perfectly Timed SMS Marketing To Engage Customers"
Engaging your customers is just the beginning. This post goes into more detail about how personalised marketing can make your customers feel appreciated. That makes them happy, and turns them into loyal customers. Read "Build Brand Loyalty With SMS Messaging"
Once you’ve read all these posts and have launched your campaign, how do you know it’s working? Check out this blog to see some basic metrics you can use to quickly tell how successful the campaign was, and how to make it even better in the future. Read "4 Basic Metrics For Your SMS Marketing Campaigns"
The last of the best blogs is a quick checklist you can use with every campaign to make sure you stay compliant with the regulations regarding SMS marketing. Don’t worry. It’s easy to do if you follow the checklist. Read "4 Simple Steps To Staying Compliant When Using SMS Messaging"
You might have heard about SMS marketing and thought it wasn't for you. Maybe you're unconvinced by this method of reaching customers and are just not sure it could help your business thrive. But any business, big or small, can benefit from an online SMS service and the facts are plain to see. One of the many benefits of SMS messaging is that it's personal. It can feel like a one on one communication or even conversation. But it's also one of the best ways to reach 10, 100, or even 100,000 people all at once. So even "one to many" communication feels like "one to one" to the receiver.